Late departures and overnight stays in iconic destinations are among the key features of P&O Cruises new ship Iona’s inaugural winter season, which goes on sale on Monday March 18, 2019. Rafting adventure in Vigo – For an exhilarating experience guests will be able tackle the lively Mino River on a rafting adventure through white water rapids. Along the way they will see some of the most stunning Galician countryside. Lisbon by tuk tuk – a truly immersive journey through this beautiful city, moving through the streets in an open sided tuk tuk to all the well-known sights and panoramic views. There will also be an opportunity to sample regional food including Lisbon’s traditional custard tarts – pastel de nata. Discovering Bruges independently – at the heart of this UNESCO World Heritage Site. Climb the 365 steps of the 13th Century Belfort tower for magnificent city wide views, sample a selection of beers at an award-winning brewery and browse the myriad of chocolate shops. Roam the Reeperbahn – Guests can follow in the footsteps of The Beatles in Hamburg. An evening adventure to uncover where the Fab Four found fame it includes a visit to a cult bar for German Schnapps and a visit to the Ritze, an old cellar boxing club. 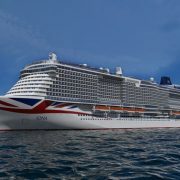 Pre registration for these new cruises will commence as soon as P&O release the itineraries so watch this space!